On Parade Magazine‘s blog this week, I’m sharing a delicious breakfast recipe: CINNAMON BUN PANCAKES! 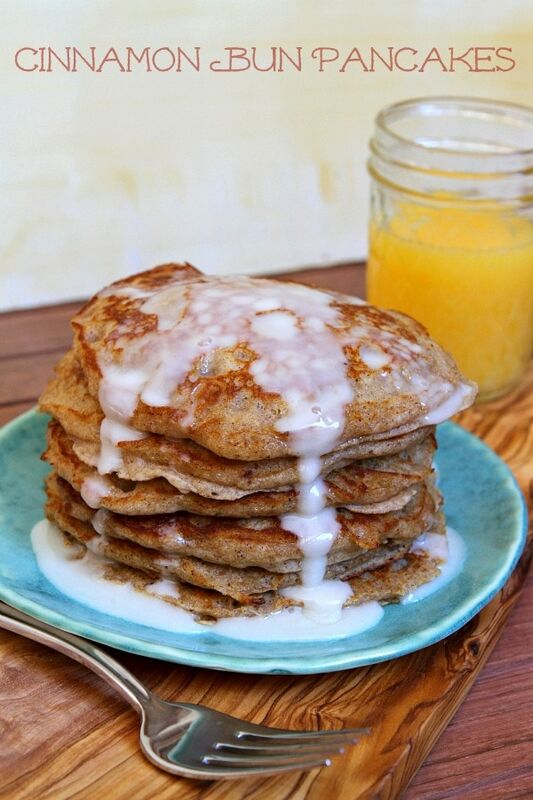 They are cinnamon- infused pancakes drizzled with a sweet glaze. The recipe comes from Adrianna Adarme’s book: PANCAKES: 72 Sweet and Savory Recipes for the Perfect Stack. 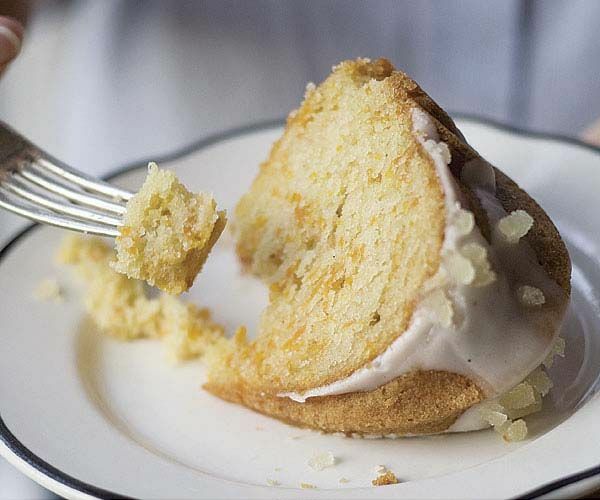 I discovered this cake recipe on Fine Cooking‘s website: BUTTERMILK CAKE WITH SPICED VANILLA ICING. It might not sound all that intriguing at first, but the cake has a secret ingredient in it: grated butternut squash! Supposedly it helps give the cake a moist and tender texture. I’m excited to try it! 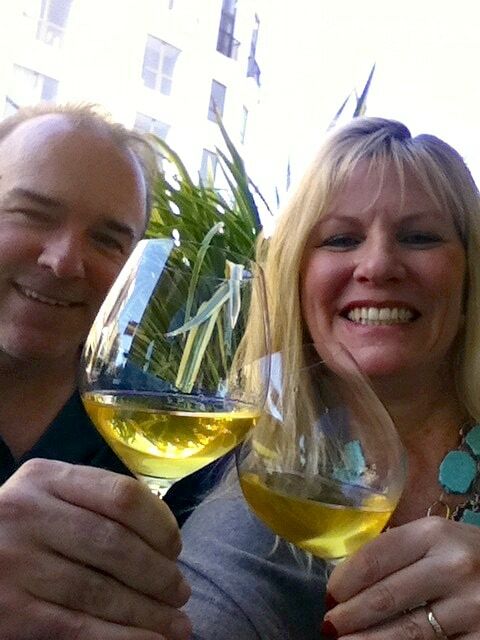 Last weekend my husband and I snuck away to the Napa Valley/Sonoma area for a weekend of relaxation, food and wine! Do we look happy, or what?? 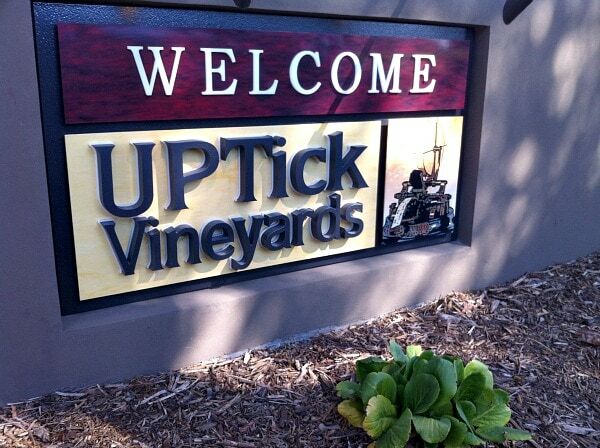 We visited UpTick Vineyard‘s new tasting room in Healdsburg. Gorgeous setting and fabulous wine (um, we may have come home with a few cases…) ! We also stopped by Lambert Bridge Winery for some samples of their wine. The grounds of Lambert Bridge are some of the prettiest in Healdsburg. We really enjoy their wine too. Have you ever visited the Humans of New York website? It provides glimpses into the lives of strangers in New York City. Do you enjoy people watching? This is the site for you. It’s addicting. Once you start checking it out, you’ll be scrolling through and you’ll want to see and read everything! It’s just… interesting. 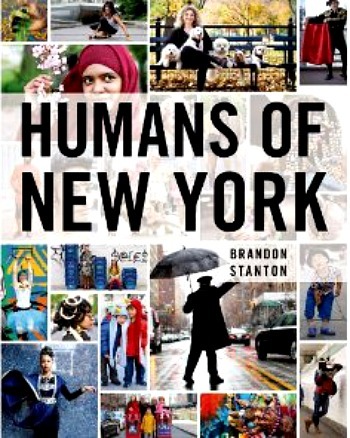 I was happy to see that they have published a coffee-table sort of book: HUMANS OF NEW YORK by Brandon Stanton. I’m thinking this might be a really fun Christmas gift for a few people in my life. Maybe you can think of someone who might like it too? 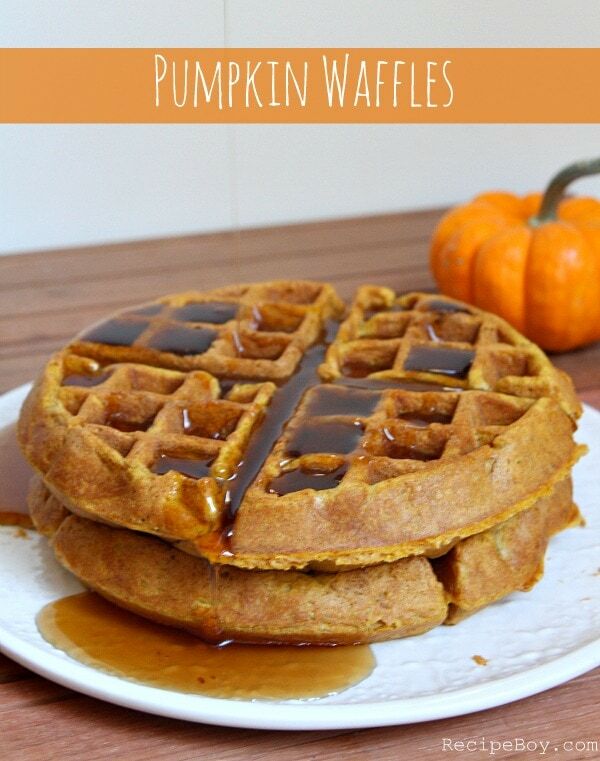 My 12-year old made me waffles last week: PUMPKIN WAFFLES. And we got to use our new KitchenAid USA Waffle Baker! The waffles were delicious, and the waffle baker was so much fun to use. Here’s a website I just discovered (maybe you know about it already and I’ve been living under a rock! ): INK & ELM. 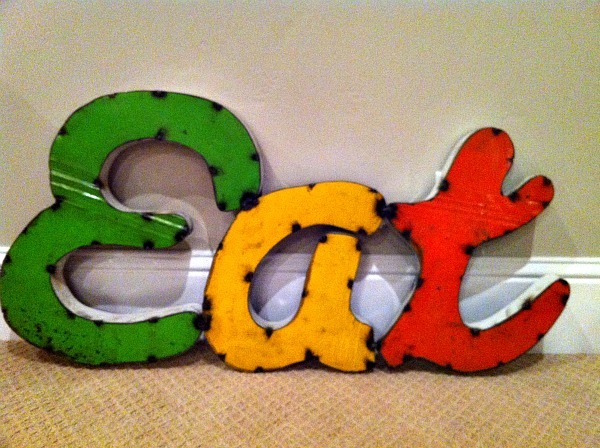 They sell photography backdrops- like this vinyl wood backdrop. I think they look pretty cool. I’d like to try them out and see if it really looks like you’re photographing on wood, or if it looks like you’re photographing on vinyl! Let me know if you’ve used something like this and how it has worked out for you. 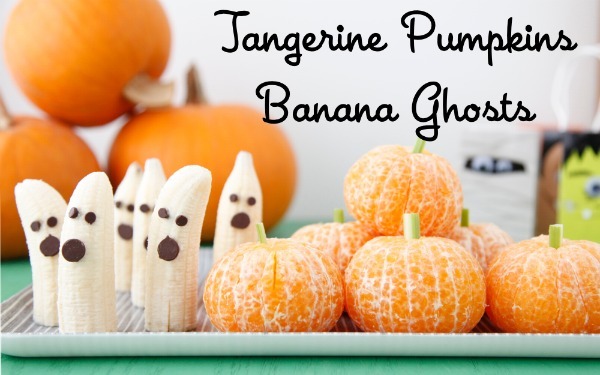 And finally, there are SO many sugary sweet treats circulating for Halloween that I thought I’d share a healthy alternative: TANGERINE PUMPKINS AND BANANA GHOSTS. 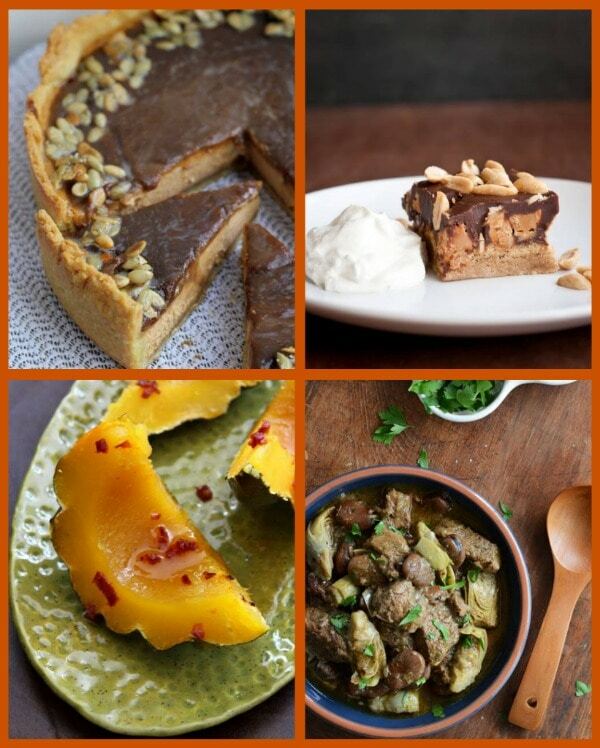 I spotted these cuties on the Weelicious website. I’m pretty sure most kids would be just as excited to gobble up these treats as they would some of those other not-so-healthy ones. 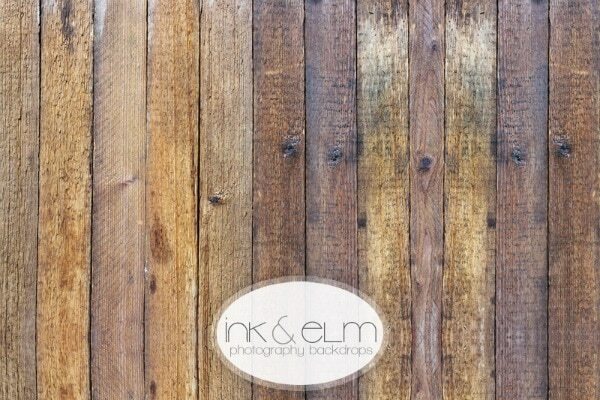 I just found out about Ink & Elm a few days ago and want to buy everything! And those pancakes from Adrianna’s book look incredible. I had my eyes on those but made the Apple Cinnamon ones. Thanks for sharing all your great finds! Aww so nice you two got to have a nice getaway!